Golf shoes are an important element of golf that are often overlooked. Golf shoes provide you with the stabilization needed to execute proper golf shots. If you don't have the correct shoe for the style of golf you're playing, it can be detrimental to your game. No matter what style of golf shoe you are looking for, you'll find it at GlobalGolf.com. We offer golf shoes from top manufacturers such as Adidas, ECCO, FootJoy, Nike, Oakley, Puma and many more. Traditional golf shoes (with spikes) blend cutting-edge performance technology and flexibility with the look of a traditional golf shoe. 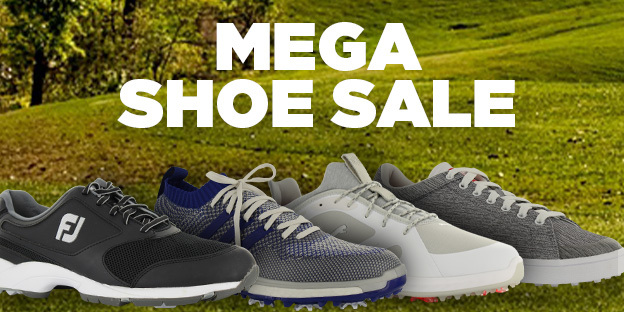 These traditional golf shoes are available in a large selection of colors from an extensive array of manufacturers and are great for all types of conditions. Spikeless golf shoes are a fashionable golf shoe designed to be worn on and off the golf course. These shoes are modern and trendy, which appeals to a broad range of golfers. The spikeless sole that gives these shoes their name is friendly for all surfaces including the golf course. Sandals are another footwear option, designed to give you all-day breathability and comfort, while the spikes provide excellent traction on the golf course. 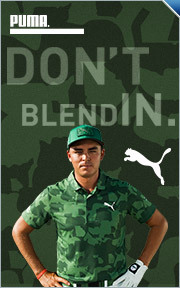 We also offer casual shoes at GlobalGolf.com. We are proud to carry the luxurious and sleek designs of Zelli. These shoes are great for casual wear and provide maximum comfort in a loafer design. GlobalGolf.com also carries a number of golf shoe accessories such as golf spikes and golf shoe bags.